Kaga is portrayed as a wealthy and eccentric gourmet who 'realised his dream in a form never seen before'. This caused him to build a cooking arena, Kitchen Stadium, in his castle. His greatest pleasure in life is staging themed-ingrediant food battles between visiting chefs and his honored Iron Chefs, 'Allez cuisine'. 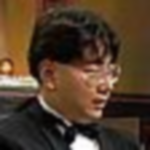 Chen is the only one of the original chefs who stayed on the show until it ended. Because of this, he fought more battles and had fourteen consecutive wins, more than any of the other Iron Chefs. 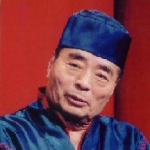 Ishinabe is one of the three original chefs, when he left the show he was replaced by Sakai. 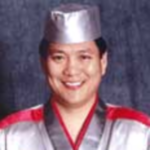 Due to his short amount of time on the show, he has the highest percentage of wins as an Iron Chef. 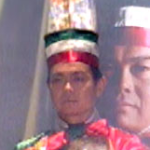 Michiba is one of the three original chefs, when he left the show he was replaced by Nakamura. A skilled caligraphy artist, his trademark was painting up a menu. He also holds the record for serving the most dishes in a battle, creating eight dishes once. Sakai was picked to replace Ishinabe. He has the second best winning percentage and most wins of the Iron Chefs. 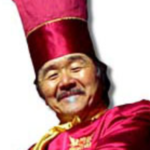 In the show's Grand Finale he was named King of Iron Chefs after defeating Chen. 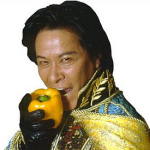 Nakamura was picked to replace Michiba. He won most of the battles against returning challengers, with three wins, one loss and one draw, compared to the other chefs average of two and one. 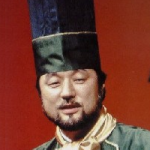 Kobe, The Fourth Iron Chef, was sent to school for four years before being allowed to compete in Kitchen Stadium. This was due to his age and maturity, or lack thereof, so the story goes. Morimoto was picked to replace Nakamura. He is mostly known for his imaginative dishes, his almost fusion style cooking and his love of Coca-Cola. He also went on to be an Iron Chef on Iron Chef America. 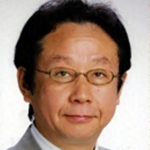 Doc is the president of the Hattori Nutrition College, which is where the challengers' assistant chefs on the show were from. 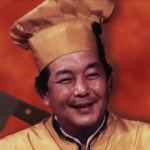 He also filled in as Chairman one episode and challenged the Iron Chefs on two seperate occasions, losing both times. 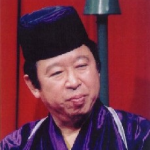 Fukui-San acted as a narrator, explaining the recipes and ingredients of each Kitchen Stadium battle. 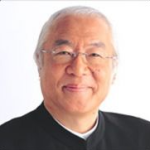 Ōta would question the chefs to clarify and try to get answers to some of Fukui-San's questions and comments.